I just returned from nine days in Toscana, tasting new releases of Chianti Classico, Vino Nobile di Montepulciano, Brunello di Montalcino (the oustanding 2004 vintage) and Bolgheri. There were many highlights, including visiting Ornellaia, Sassicaia and Le Macchiole on the same day as well as meeting many long-time (and several new) friends in various locales along the way. Over the next few weeks, I’ll report about my experiences; today my first post about the trip regards a wonderful dinner I attended near Montalcino. The dinner was held on February 19 at the winery of the famous Brunello producer, Il Poggione. Joining that producer as co-host of the dinner was Col d’Orcia, a nearby estate that shares a similar history. Both produce Brunello in a traditional style – aged in large casks – and both have been producing Brunello for more than 40 years. Today there are more than 150 producers of Montalcino’s most famous wine, but in the mid 1960s, when these two estates were going strong, there were fewer than 30. The dinner was a great opportunity to compare both new and old wines from these houses. The first pairing was of the 2007 Rosso di Montalcino; we then moved on to the newly released 2004 Brunellos from both. Each Rosso is full of fruit with only subtle wood notes, while their respective bottlings of 2004 Brunello were first-rate. The Il Poggione is a touch riper and fuller on the palate with beautiful acidity, while the Col d’Orcia is a bit more subdued with stronger tannins; both should be drinking well in another 20 years. To show off the evening’s wines to perfection, the winery principals hired a superb chef, Roberto Rossi, who practices his trade at his own restaurant called Silene in nearby Monte Amiata. I was assured by several locals that this restaurant is a true destination in the area and given this dinner, it’s easy to see why. Like most great Italian chefs, Rossi’s talent lies in the simplicity of his dishes combined with tremendous flavor. We enjoyed raviolini stuffed with pigeon and parmesan cheese with the current Brunellos and went on to dine on duck breast and veal with the older bottlings. There was a tremendous variety of gourmet delicacies served that night and most of us enjoyed every bite. The final wines included two excellent pairings: the 1999 Il Poggione Riserva with the 2001 Col D’Orcia Riserva “Poggio al Vento” and the 1980 Il Poggione with the 1979 Col d’Orcia Riserva. What a treat to try these wines, as we were given a brief history lesson in how these gorgeous wines drink after a decade or more. The 1979 Col d’Orcia was particularly remarkable with striking fruit depth and beautiful acidity; I wouldn’t be surprised if this wine were drinking well in another ten years on its 40th birthday. The last course was an incredible warm flan of pistacchio which was quite rich yet so delicate at the same time. The dessert offerings from the wineries – Moscadello di Montalcino made from the Moscato grape – were lightly sweet and beautifully suited to this treat. Of course, grappas were offered, but I was stuffed (to say the least) by this time, so it was time to say goodbye and thank my hosts, Leopoldo Franceschi of Il Poggione and Edoardo Virano of Col d’Orcia for their invitation to a dinner I will not forget any time soon! One of the things I noticed most about my recent trip to Puglia was the wide range of red wines; this certainly is a reflection of a region that has so many different varieties planted in specific areas. It’s also a sign of a region where there is not an iconic red - such as Barolo from Piemonte or Brunello di Montalcino from Toscana – that overwhelms other wines. I like that about Puglia – there are so many interesting, well-made wines that have their own personality. In this post, I’d like to feature two of the most innovative producers whose wines I tasted during my trip. One is from the far southern reaches of the region, while the other is situated in the north and while the grapes they work with are quite different, their quality and goal of making individualistic wines are similar. There are some beautiful introductory wines here under the Santi Medici label; the Rosato, produced entirely from Negroamaro is excellent with deeper concentration than most of its competitors while the Rosso, also a pure Negroamaro, has very good varietal character, light tannins, tart acidity and is a pleasant lighter red for drinking over the next two years. But it is with a group of distinctive reds where the principals really make their statement about the exceedingly high quality of Castel di Salve. The 2007 Salice Salentino “Armécolo” is a medium-bodied style with beautiful aromatics of myrtle, black currant and tobacco and excellent complexity; enjoy this over the next 3-5 years. A 100% Sangiovese, “Il Volo de Alessandro”, has very high acidity, cherry, cedar and sage notes and an earthy finish and is quite unique. You can tell this is Sangiovese, but you can also tell it’s not from Tuscany. The 2005 Lama del Tenente, a blend of Primitivo, Montepulciano and Malvasia Nera is a modern red, aged in new oak, with plenty of black fruit, but this is not a one-dimensional wine. Beautifully structured with moderate tannins and lively acidity, this has wonderful complexity and will drink well for 7-10 years. The 2006 Cento su Cento (with a big capital “C” on the label), though slightly less impressive due to a bit too much oak, is nonetheless a compelling red to be paired with rich red meats for the next half decade. 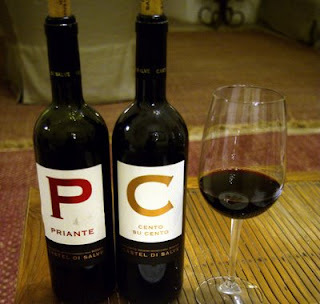 But the best red from Castel di Salve is the 2005 Priante, an IGT Salento that is half Negroamaro and half Montepulciano (the label features a big capital “P”). My notes for the nose mention black cherry, peppermint, cigar, tar, vanilla and marmalade- very nice! The wine was aged in used French and American oak, so the wood influence is minimal. The wine has a long, long finish with notes of tobacco and dried brown herbs and should drink well for 5-7 years. This is a brilliantly made offering and was one of the two or three best wines I tasted in Puglia during my trip. The winery also produces an outstanding Aleatico Passito; the current bottling from 2004 is about as good as this wine gets! Aromas of toffee, orange peel, dried plums and herbal tea are backed by excellent complexity and a long finish that is lightly sweet with subtle bitterness. This is heavenly and would be great with bittersweet chocolate, though it is superb on it own. In the northern province of Foggia, the Alberto Longo winery was established in 2000 by an accountant who wanted to produce the local wines he has loved throughout his life. Situated in the town of Lucera, Longo produces approximately 16,000 cases of wine per year, primarily from Nero di Troia, the area’s leading red variety and Negroamaro (there is both a Rosso and Rosato made exclusively from this variety). I tasted three wines during my brief visit to the winery; all of them are quite intriguing. The first was the 2007 Falanghina “Le Fossette”. Now Puglia is a red wine region, as many producers don’t even make a single white wine, while those that do tend to focus on lighter styled Chardonnays. 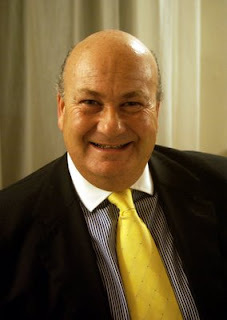 So for Longo to concentrate on Falanghina is remarkable in itself and we can be thankful he does, as the wine is beautifully made with aromas of pear, lime and melon (no oak aging), excellent concentration and typical high acidity. This compares favorably with the best versions from Campania and will drink well for 2-3 years. 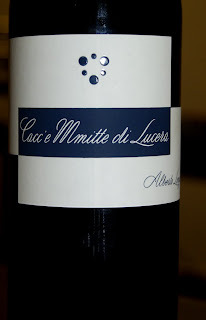 Longo is one of the few producers to make one of the most unusual DOC reds in Pugila (or in all of Italy for that matter), a wine known as Cacc’e Mmitte di Lucera. 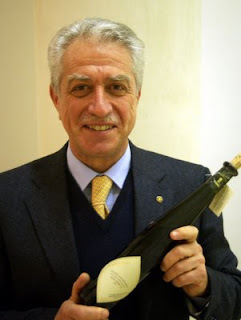 His version is a blend of Nero di Troia, Montepulciano and a white variety, Bombino Bianco. This is a charming red, with currant, red plum and strawberry fruit, modest tannins, tart acidity and a touch of spice in the finish. It’s got some of the qualities of a simple Valpolicella or a well-made Dolcetto, but it’s totally unique. Enjoy this over the next 2-3 years. Finally, I tasted the 2006 “Le Cruste” a 100% Nero di Troia with unusual aromas of black plum, cranberry and shiitake mushrooms! Medium-full, the wine has elegant tannins, lively acidity and a long, long finish. Local producers are experimenting with this variety, as some push the ripeness as well as oak to make somewhat of an internationally styled red. The Longo version strikes more of a middle ground with good varietal character while maintaining lovely balance. This is approachable now and will offer pleasure for another 5-7 years. I was so pleased tasting these wines from Castel di Salve and Alberto Longo, as they represent a new, exciting, innovative path for the wines of Puglia. Both are imported in the USA; Sussex in Philadelphia represents Castel di Salve, while there are two importers for the Alberto Longo wines: Clyde Thomas Wines, which represents the wines in New York and New Jersey and Match Direct Wine Import (Francois Dufour) for the rest of the country. 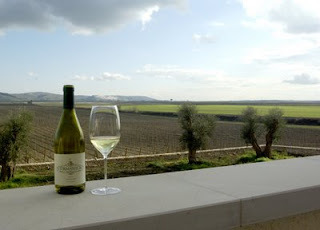 Just back from Puglia – my first visit there in more than six years – and was delighted to taste so many good wines. I’ve always been intrigued by the wines of Puglia, as it seems to me that this is a region with an identity problem. They don’t have an iconic red with the fame of Barolo or Brunello, so how do you get people to notice your bottling of Salice Salentino or Primitivo? I certainly didn’t cover the breadth and width of this region in only three days, but I enjoyed a nice taste for what’s going on these days. I was afraid that there would be too many international style wines with overripe, forward fruit and too much oak, but while there were a few of these, this style did not rule the day. Winemaking here definitely has a modern influence (as it does in most Italian regions today), but most of the wines I tasted had excellent balance as well as very good varietal characteristics. Terroir is another story, but some of that has to do with producers continually experimenting with the proper varieties for specific areas. I did taste nice examples of terroir and if it isn’t overwhelming in that many Puglian wines, well, there are other regions where terroir has been sacrificed in favor of market-pleasing bottlings. But enough about what could and should be - let’s look at what I liked. Agricole Vallone, a medium-sized producer from the southern province of Lecce, offered some of the most distinctive reds; best were the elegantly stlyed Brindisi Rosso “Vigna Flaminio”, a blend of Negroamaro, Montepulciano and Malvasia Nera and the excellent Graticciaia from the 2003 vintage. This is a 100% Negroamaro wine with excellent concentration, medium-weight tannins and lively acidity with a lengthy finish that has a light influence of modernity. Though a touch expensive (45 Euro), it does send a message to the rest of the world that Puglia is home to very distinguished wines. 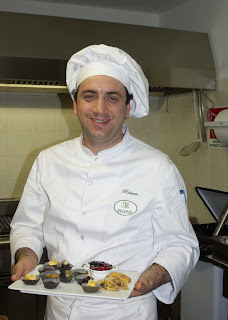 I also loved the top offerings of Candido in the province of Brindisi, a bit north of Lecce. The whimsically named Cappello di Prete (priest’s hat) from 2004 is a spicy, complex and beautifully balanced Negroamaro that should offer pleasure for 5-7 years, while the 2001 Duca d’Aragona, a blend of 80% Negroamaro and 20% Montepulciano is their finest red, full of cherry fruit and cigar and thyme notes with refined tannins and the structure to age for almost a decade. I also loved the 2002 Aleatico, one of the region’s great dessert wines. The Candido version offers caramel, orange peel and almond and has a lightly sweet finish – all in all, an exquisite wine and one that sums up the authenticity that owner Alessandro Candido is trying to impart with his wines. Until recently, these wines were represented in America; that situation changed and the winery is now looking for a new importer with a more national base. Hopefully, they’ll find someone soon, so we don’t have to go to Puglia to enjoy these delightful wines! 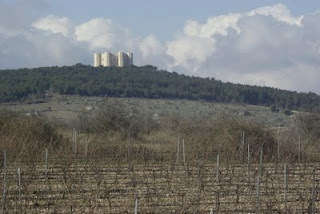 Torre Vento in the Castel del Monte DOC in the north offered an impressive variety of wines in various price ranges. The 2008 Primaronda, a blend of 80% Bombino and 20% Montepulciano, was the best rosato I tried. Bombino has extremely light pigment, so all a winemaker can really do with this red grape is to produce a rosé from it; this bottling had some distinctive spice (from the Montepulciano) that lifted it above several other fine bottlings of rosato I tasted in the region. I also loved their 2005 Vigna Pedale Riserva, a pure Nero di Troia (the area’s leading red variety) that features black plum and black rapsberry fruit with lovely floral aromas, young tannins and light spice in the finish; this will drink beautifully for another 5-7 years. From Rivera, also in the Castel del Monte DOC, I enjoyed a delicious and beautifully structured 2007 Chardonnay “Preludio No. 1” and a rich, beautifully polished 2005 Nero di Troia known as “Puer Apuliae.” This offers ripe, forward black fruit backed by young, elegant tannins and healthy acidity. I’d love to try this wine again in 5 or 7 years with duck or lamb chops! This is a large producer that delivers on many fronts and can always be counted on for well-crafted wines with excellent varietal purity. Just a few other highlights; the delicious and extremely elegant 2004 “Donnalisa” Salice Salentino Riserva from Leone di Castris; the tasty regular bottlings of Primitivo and Negroamaro (both from 2007) of Feudi di San Marzano, both of which are fine values; the spicy 2006 Primitivo “Fiore di Vigna” from Paolo Leo; the graceful and lightly tangy 2004 Salice Salentino Riserva from Cantele and the ripe and deeply concentrated 2005 Salice Salentino Riserva “Selvarossa” from Cantine due Palme. I’ll wrap this up with comments on two wines from Tormaresca, the gorgeous estate of Antinori located near the border with Basilicata in northwestern Puglia. The 2004 Bocca di Lupo, a pure Aglianico is an explosive red with textbook black cherry and bitter chocolate fruit, rich tannins and balanced oak. Aglianico is one of my favorite varieties in all of Italy and this is a gorgeous representation of it; look for this one to be at its peak in 12-15 years. The 2006 “Kaloro” is a sumptuous Moscato di Trani with exotic aromas of pineapple and chamomile and a long, lightly sweet finish that is lightly sweet with balancing acidity. What a fine partner for an apple or pear tart or simple pound cake! In my next post, I’ll report more in depth on two producers that impressed me not only with the extremely high quality of their wines, but also the direction they are taking in creating a new identity for the wines of Puglia: Cantine Alberto Longo and Castel di Salve.